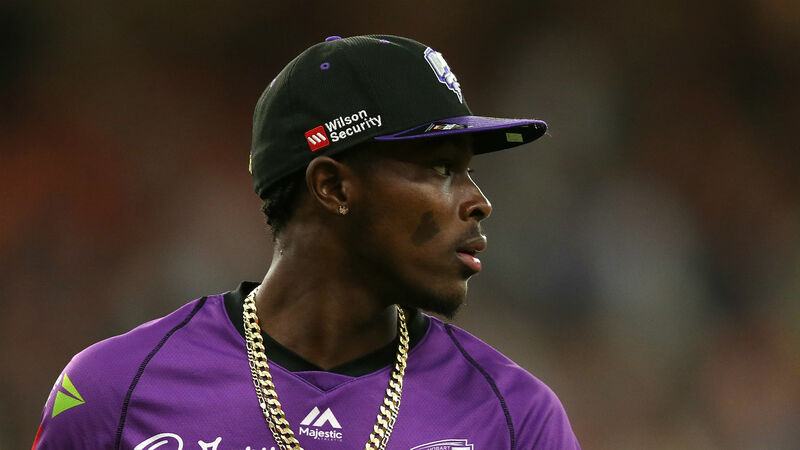 Jofra Archer has been left out of England's 15-man preliminary squad for the Cricket World Cup but is one of two players who could be called upon if required. Archer's international career has been subject to intense speculation in recent months after he became eligible to play for England in March. The all-rounder – who is currently playing in the Indian Premier League with Rajasthan Royals – had been tipped for a call-up. However, while he will get the chance to impress against Pakistan, there is no guarantee he will feature at the World Cup. Instead, England have kept faith with the squad that faced West Indies earlier in 2019, meaning Liam Plunkett retains his place as they look to lift the 50-over title for the first time. Eoin Morgan will captain the side on home soil, and England's selectors have opted for a settled squad that includes the likes of Jos Buttler, Jonny Bairstow, Jason Roy and Joe Root. Adil Rashid and Moeen Ali will provide a spin option, while a deep seam attack features Plunkett, Mark Wood and a host of all-rounders including Ben Stokes, Tom Curran and David Willey. Archer is one of two players who could force their way into the squad should he impress against Pakistan, with the other being Chris Jordan. We have named our preliminary 15-man squad for the @cricketworldcup! "The selection panel has been impressed with Jofra Archer’s performances in domestic and franchise cricket," said national selector Ed Smith. "He is a very talented and exciting cricketer. "Chris Jordan, a regular in T20 squads over the past few years, has continued to develop as a cricketer – as we saw in the T20s in the West Indies. He fully deserves his return to the ODI squad." England's preliminary World Cup squad: Eoin Morgan (c), Moeen Ali, Jonny Bairstow, Jos Buttler, Tom Curran, Joe Denly, Alex Hales, Liam Plunkett, Adil Rashid, Joe Root, Jason Roy, Ben Stokes, David Willey, Chris Woakes, Mark Wood.